Lynn Brandon completed her degree in physiotherapy at the University of British Columbia, graduating with honours in 1986. Over the past 33 years, her experience working in hospital and private practice has allowed exposure in many areas of physiotherapy. In 1994 she co-founded Charlottetown Physiotherapy where she was able to expand her skills in the area of sports and work injury management as well as continued post-graduate training in acupuncture. In 2001, after completing all the courses available through the Acupuncture Foundation of Canada Institute in Toronto, she became certified to practice acupuncture. In 2017, she added IMS to her 'tool kit' with certification through the UBC Gunn IMS program and has found both IMS and TCM Acupuncture to be very effective adjuncts to her practice. Lynn volunteered with the Sharks Swim Team as Meet Manager and dry-land training as a Pilates Teacher. She has volunteered as a guest speaker for a number of organizations over the years, which has allowed her the privilege of sharing her expertise with others with the intent of passing along some information people can find useful in their everyday life. Lynn is the past President of the Rotary Club of Strathcona Sunrise (2011-2012) and past president of the Comox Valley Hospice Society (2016-2017). When she is not working, Lynn volunteers her time doing trail maintenance and building, and enjoys mountain biking, hiking, kayaking, snowshoeing and skiing. Lynn's interest in fitness and living an active lifestyle evolved from her years growing up in the Comox Valley where the outdoor pursuits of hiking, cycling and water related activity were an integral part of childhood. Together with many years playing volleyball, these things played an important role in shaping her pathway in life. For several years, Lynn was a Course Instructor for Fitness Leaders. For 33 years she has been teaching fitness, initially as an Aerobics Instructor and ACE certified Personal Trainer becoming certified with STOTT Pilates in 2002. She holds STOTT Certification in Matwork and Reformer, as well as Advanced Certification and specialized training for Injuries and Special Populations. Lynn has found Pilates to be a good fit with her paradigm of holistic practice and is a lovely complement to all other forms of exercise. Her unique blend of warmth, sensitivity and positive energy provides clients with a full spectrum of spiritual, intellectual and physical enhancement. In 2005, Lynn and her family returned home to the Comox Valley where she founded Bodyworx Physiotherapy and Bodyworx Pilates & Health located at a beautiful facility known as the Manor, overlooking the Comox harbor and mountains. In addition to innovations such as a fully equipped Pilates studio, Lynn's clinic offers Scoliosis/Scheuermann's Kyphosis Management, Extracorporeal Shock Wave Therapy, Neuroproprioceptive Taping (Kinesio taping), Acupuncture, IMS, Laser, Women's and Men's Pelvic Health, Vestibular Rehabilitation, and Balance Retraining Therapy, Chronic Pain Rehabilitation, Functional Movement Screening and Functional Rehab Orthotics. Lynn enjoys her clinical work and teaching immensely. She finds great joy in sharing her passion with others. Growing up in the world of dance, Rachel has always loved movement. Through her training as an Advanced Associate with The Association of International Dance Teachers (A.I.D.T), she began to explore how the movement is created and unveiled her passion for anatomy. Helping her student’s develop a strong understanding of how their bodies function and to improve dysfunction became the focus of Rachel’s work. 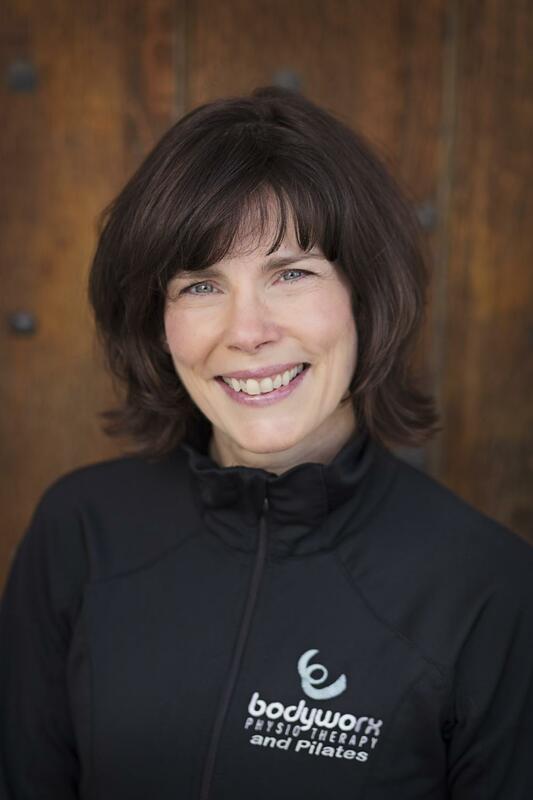 After moving to the Comox Valley in 2006 she was inspired by her Physiotherapist, Lynn Brandon, to apply her knowledge and passion for movement and physiology to Pilates. Rachel has been teaching at Bodyworx since her certification in 2008. She has had the opportunity over the years to work with Courtenay Recreation, Campbell River Pre-natal groups, Dance troops, Athletes and Equestrians. Rachel carries her certification with STOTT in Matwork, Reformer, Injury and Special population as well as Zenga and Total Barre. She works hard to educate her clients on their own personal strengths and imbalances. She brings an upbeat experience to all age levels in a comfortable and caring environment, challenging both mind and body, helping to create a lasting appreciation for good mechanics while maintaining everyday pain free movement! Shane has recently relocated to the Comox Valley from the East Kootenays with her young family. She is a Certified STOTT PILATES® Instructor in Essential and Intermediate levels for Matwork, Reformer, Cadillac, Chair, Barrels and Injuries and Special Populations course work. When she’s not practicing or teaching Pilates, Shane leads an active lifestyle of skiing, both alpine and nordic in the winters, and the summers are spent on two wheels, either road, mountain, or downhill biking. She also enjoys chasing the wind, kitesurfing around the island throughout the windy season. After experiencing numerous sport related injuries, Shane was introduced to Pilates by a former dance colleague. Her previous fitness training mentality focused on big movements while working the big muscle groups, but since becoming a certified instructor in the STOTT PILATES® Method, she has gained a deeper understanding of the importance of all the small, stabilizing muscles in our body and the effect these muscles have on posture, improving strength, and ultimately preventing injury. As a former professional dancer and choreographer Jillian knows the hard work and commitment it takes to reach ones goals. As a certified personal trainer, group exercise instructor and Stott trained pilates professional she applies these principles and dedication to all her classes and clients. Heather McAnna is a Certified STOTT Pilates Instructor, mentored in the Classical style of Pilates. She has been teaching Pilates for the past 13 years after an introduction to it in 2004 to help relieve the pain she felt with scoliosis. She quickly fell in love with the core strengthening and style of exercise, prompting her to move to the UK in 2005 and begin STOTT instructor training in Matwork. She soon began teaching in gyms around the UK and in 2007, returned to her native Australia to continue her training in equipment-based Pilates. She has since taught in Physiotherapy Clinics, Private Studios, Gyms and from a home-based business, and has gained a wealth of knowledge in injury rehabilitation and Pilates programming for specific body types. Because of her own medical history, Heather has a deep understanding of how scoliosis affects the body and how best to specifically program for those who have the same condition. In 2009, Heather added to her repertoire and knowledge of the human body when she became a qualified, registered Remedial Massage Therapist, which she has found to be an excellent complement to her Pilates teaching. 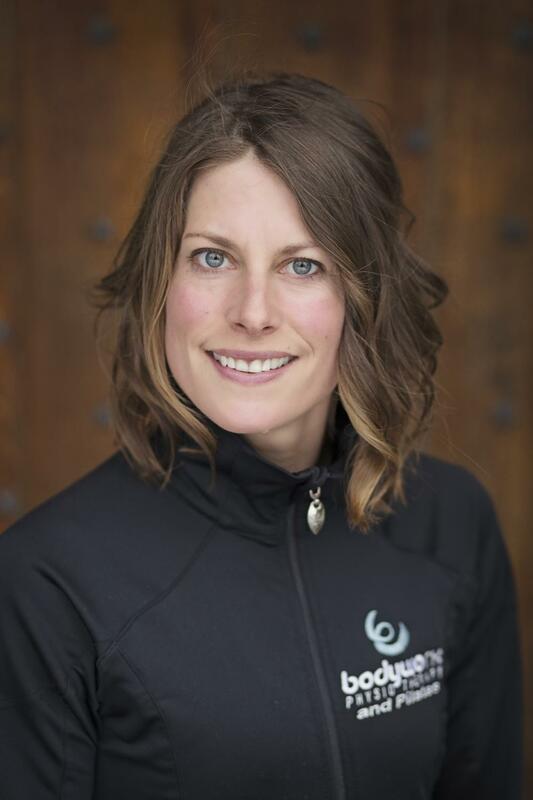 Whether you're suffering from a ski injury or a bike accident, or simply want to tune up for the coming golf or hiking season, Heather is well-suited to getting you the most from your Pilates sessions. Heather continues to work on improving her training by attending STOTT Pilates conferences and workshops, as well as massage therapy, which allows her to stay current with the latest techniques in treating pathologies and muscle imbalances, and restoring bodies to their proper biomechanical function. Being an active person that enjoys climbing, hiking, swimming and jogging, Heather was drawn to Canada and Vancouver Island for the great Island lifestyle and enjoys calling the Comox Valley her new home.